Should fictional characters be likeable? when you write your novels, Ben, do you keep likeability in mind at all? And I do think about likeability, because it’s something that readers discuss. It comes up a lot at book groups when people discuss The Slap, just for one example, where the characters are uniformly loathsome, but enthralling to read about nonetheless. Agents, and presumably publishers, discuss it, too—one writer friend of mine has had feedback about a manuscript of hers to the effect that the main character is unlikeable and that this is a serious flaw. But although I think about it, I wouldn’t say I adjust my work with likeability in mind, unless it is so that unlikeability, or badness, is offset by something else that makes us continue to want to read about these characters, and make an emotional investment in what happens to them. Both of the star characters in my two books (soon to be three, as I finish off the No More Dreams series), are bad people in various ways, often as a consequence of thinking themselves superior to others (see this review by Justin Evans, who puts it better than I might). But I came to find Joshua’s contempt for others amusing, especially if I exaggerate it and make it worse than is perhaps realistic. Lily, who completely took on a life of her own as I wrote the book, is just delicious to write (and I’m told, to read), since as a kind of villain, she represents what many people think they might enjoy being if they only dared. The thing is it’s quite unpredictable how readers will respond to characters like these (or other kinds of characters). Some people find Lily and Josh genuinely unlikeable, rather than entertaining; these same people might enjoy the characters of a more mainstream novel like Nicholas Sparks’ Message in a Bottle—who I personally found so insufferably dull that I was unable to figure out why they’d bother to fall in love with each other. One person’s likeable is another one’s unlikeable, and so for writers, as the saying goes—you can’t please everyone, so you might as well please yourself. 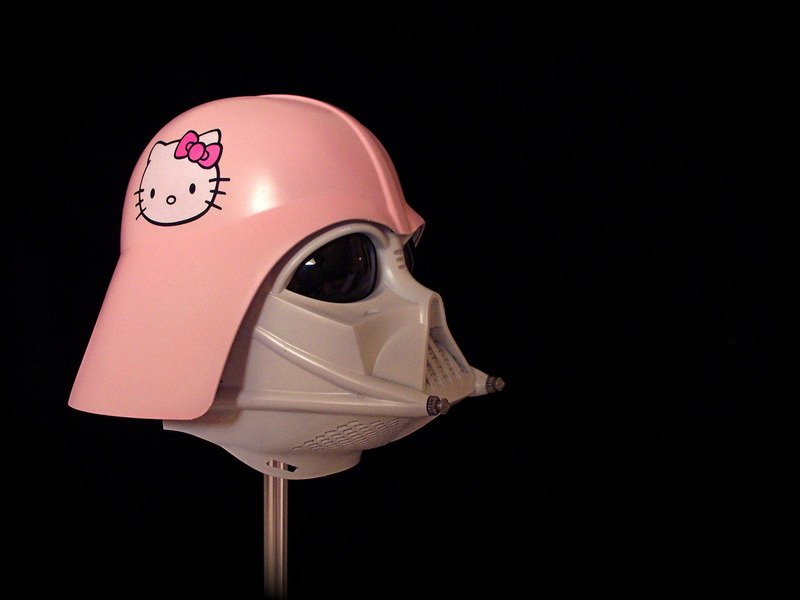 Image: Hello Kitty Darth Vader, CC 2005 by JD Hancock.